I was looking for a sweet treat in Marks and Spencer and this new bar caught my eye. 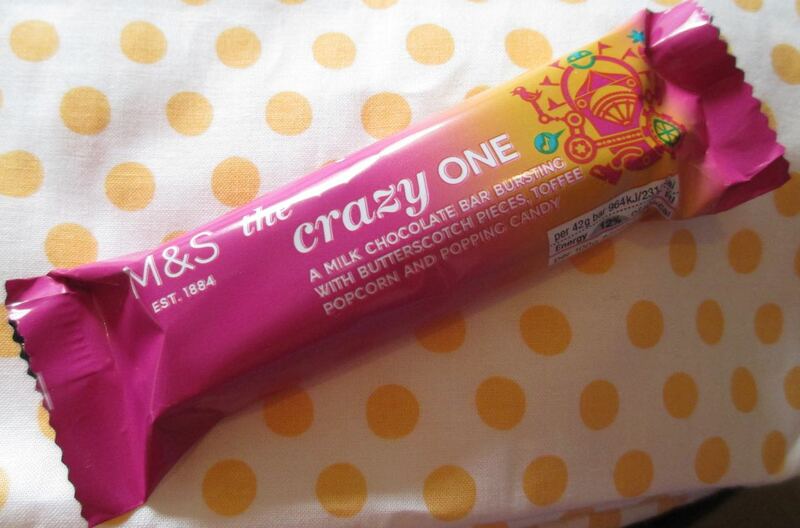 It is called “The Crazy One” and comes in a hot pink wrapper, so it would be difficult to miss. The bar promises a mix of butterscotch, popcorn and popping candy (which I assumer is the “crazy” element). I opened up the bar and broke a piece off, which came apart quite easily. The bar is a little rough looking, which I think can be attributed to the unevenly sized ingredients it contains. I could see that the chocolate coating was quite thick and the filing was filled with all sorts of goodies, golden but clear toffee and the white of some popcorn. I gave it a taste test and loved the mix of toffee and butterscotch flavours with the chocolate, it is a tried and tested combination. 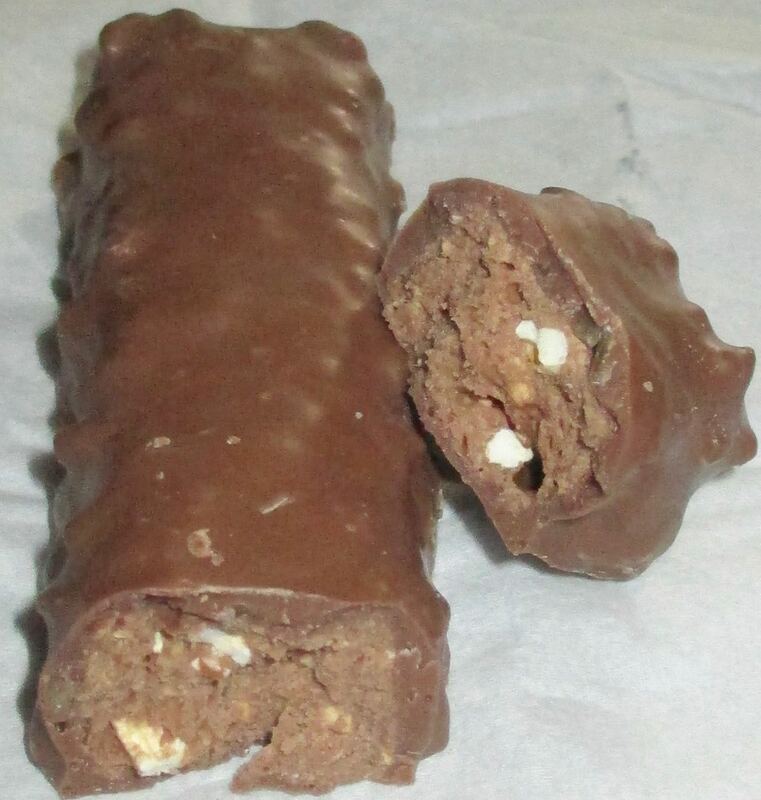 The chocolate filling was firm but still soft and had a thick melt that coated the mouth in a soothing manner. The mix of textures were lovely, the butterscotch pieces gave crunch, the popcorn bits were soft and slightly chewy, and the popping candy made the fizzing and popping noises I like so much. I know it doesn’t add to the flavour but I do like its playfulness. This is a fun bar, but it works very well with the classic toffee and chocolate flavours. I felt it was satisfying and had enough variation in the texture to keep me happy too.